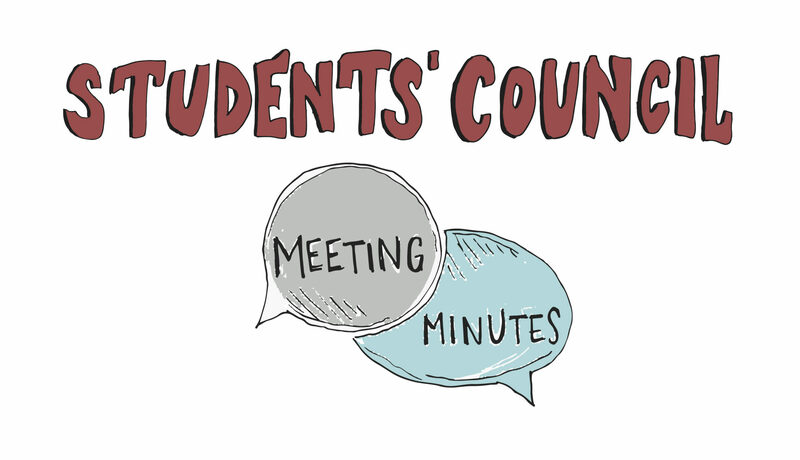 Each week, Students’ Council releases meeting minutes to the Haverford community. The ideas represented in these minutes do not necessarily reflect verified facts, nor do they necessarily capture all of any speaker’s intended point. The original document released by Students’ Council can be found here. Devi: I want to build this blackout board to talk about race and identity relations on campus especially because I feel that Customs wages discussion also came from the fact that some felt as if marginalized groups felt exploited so I think it is important to address that through a discussion space. I have been talking to Jhoneidy about this and so I am going to begin to talk to admin about that. Maurice: What did Jhoneidy say? What is the history of the board? Devi: It was taken down because people started saying problematic things because it was anonymous. I think having a google form where people send the moderator the statements and then taking those statements and posting it onto the board makes sure nothing too problematic will come out. The form will have a reminder to treat this with trust, concern, and respect. It is important to be considerate of others…when it comes to race and identity it can be a point of ignorance which can cause harm. I’m still trying to work out the details. Maurice: The board came out of We Speak. I’m curious about the inciting incident that created this idea. The anonymity was not a thing we should bring back. Devi: I think that the Haverford then is not the Haverford now, and I hope that people go to events like WeSpeak to take time to listen. Not everyone goes to WeSpeak so having a concrete demonstration of people’s lived experiences makes an impactful thing. It would be impactful for those who can’t attend WeSpeak. Also, WeSpeak was the best event of the year, but its only one time a year that POC are prioritized in opposition to the rest of the year. So, we can include other marginalized identities here too and it isn’t just a passing event. Also, I think that people who are confused on their identity markers because they are socially constructed can have a board can feel comfortable sharing their thoughts. Jason: I feel like the idea of people writing their experiences themselves is more authentic than sending it to someone and letting them write it. Alejandro: Similarly, the women’s center did this a few years ago. They just printed out thoughts and posted them in the DC. Devi: Anyone have reservations to this idea? Katie: have you reached out to Affinity Groups? Devi: I haven’t, but I intend to reach out to BSL this week because they were the original creators of this blackboard. Maurice: I’m not opposed to it, I would say approach with caution. You all weren’t here when Yikyak, or Havertivity, or the prior Backout board, were here–we have these things, and people abuse them. In some way things have changed, and in some way they haven’t at all. Devi: the turning point for me was this year when we heard about the mosque shooting and there was no immediate response from anyone on campus. It took us so long to respond and show recognition. Ethan: They did do that. Maurice: You just identified a different problem than the one you are trying to solve I think. The solution are proposing isn’t seeming to solve the problem you are identifying. So, from your anecdote you are suggesting that an anonymous forum that would then provide a space would be helpful in the wake of an event like that. Devi: I just meant that this would be an everyday-type of thing. I was just saying that got me thinking that we don’t always respond to events like that. It wasn’t spurred by this event, but something that was consistent with the intent. Claire: Over the past week, numerous people reached out to me about WeSpeak and the 5k are scheduled to be on the same day, as usual. I reached out to the BSL Co-heads o get their thoughts on it. The 5k is starting at 12:30 and WeSpeak is scheduled to start at 3. I think that is still a bit tight. At my meetings with SAAC and Wendy, I am going to push athletic administration to encourage their teams to come by WeSpeak. People should not be using Joe Schwartz as an excuse to skip WeSpeak. Katie: what time would the Joe Schwartz event end? Maurice: It’s tight but you can still theoretically go. In general, my issue is the 5k is always so advertised very far in advance, so it feels like an avoidable problem for the Co-heads. Katie G: Ethan and I had posted in the groupme asking for whoever was that had issues with our proposals to reach out to us because we would like to move forward. However, no one reached and we want to open space for those concerns to move forward. We would like to purchase the equipment by tomorrow. Maurice: how are folks feeling about the use of these funds? Alejandro: should we just vote? Maurice: Anyone from the meeting with SWOL want to update us on what happened? Danny: It was a lot of hypotheticals trying to go in loops to find loopholes. Alejandro: one idea that they had was setting money aside for funding Customs for next year because they feel as though it would be unfair to pay students now. We are meeting with Mike on Wednesday to discuss further. I think SWOL is going to reach out as well. Danny: They were under the impression that we were all voting this week. Maurice: The things we have been thinking about were sort of small dollar amount things that wouldn’t bust the budget such as the food pantry, or something within reason that we could realistically propose since we know right now we will at least have that much money. So like smaller $1,000-5,000 projects. Were there ideas to a future council about what we could use the surplus for? Alejandro, we had a discussion about the gender-neutral bathrooms. Would you mind sharing with the rest of council? Alejandro: I think we pulled out of the bathroom situation because it was jeopardizing the future of the budget because we were funding something that admin should fund. But then Franklyn told us that they aren’t seeking any money from us now. Since then, I feel like the administration now understands they can’t just come and demand money from our budget. I feel better about us giving money to them since they understand this now. Andrew: Did you have a number in mind? Katie: Can you clarify what you mean? Like are you saying admin isn’t asking us of money anymore so you are more comfortable giving them money now? Alejandro: Yes for future projects that they will have, like they still have to do Founders? Devi: Will how much money we give change at all? Or will the timeline stay the same? Maurice: The reason they had requested the dollar amount that they did (24k) was because it would expedite the process, especially for the one in the GIAC. The thinking was that without this, it would slow down the process. The founders project will likely be more expensive. Ethan: Aren’t they building it next to the president’s office? Katie: I’m just wondering why they keep taking the signs down? People keep putting up signs and then some mysterious “admin” keeps taking them down. I don’t really think its making anyone that uncomfortable? Maurice: That has been expressed in talks before there is an educational component with staff specifically. Devi: i feel torn because we have an obligation to students. I also understand standing up to the admin. Maurice: At this point, they aren’t asking for money. They would in the future for donations. Tina: Do you have an amount in mind? Andrew: I know we had 6:00 deadline since people have commitments is there anything else to talk about. Devi: CER wants to come to a meeting to write a letter on feedback so they asked me to talk about it with all of you. Thank you so much for all your hard work to make Plenary possible. We really appreciate all the thought that went into making Plenary a more intimate and engaged space this time around. In the spirit of continually striving for a more engaged, accessible space, we have thought of a few changes that could help at a future Plenary. There was a 2-day delay in sending out our request for community feedback. By the time we had some clear-cut suggestions from the feedback we had already started collecting signatures for the original resolution. On Monday, Feb 11th, one day before the signatures were due, we were advised not to bring our own friendly amendments to plenary because it might be harder to pass some of the changes we were considering making. However, because these changes were very recent, we ourselves were not sure whether we wanted to make them. Further, there wasn’t enough time to table again with the edited resolution and get 200 new signatures. Students’ Council did not mention this advice in any previous emails or when we met with them in person. In the future, we need more time to gather community feedback (at least 1 week from the time the email is shared) and, preferably, the signatures deadline would be a few days after that. Please be sure your expectations for resolution writers are clear on both ends, through an email or when you meet with them in person. Resolution writers need time to follow the correct procedures to do what you are asking. Week 1: Call for plenary resolutions with clear guidelines and advice for resolution writers and resources on resolution writing and the pre-plenary process. Some advice might include: why friendly amendments are harder to pass, how different the draft/final resolution can be, office hours of StuCo to discuss changes to the resolutions and get feedback. Week 3: Draft plenary resolution deadline, StuCo approves hc-all email for community feedback in a timely manner. Resolution writers gather feedback and rework sections of their resolution if needed. Week 5: 200 signatures are submitted, and the Final Plenary resolution (edited with community feedback in mind) is re-submitted to StuCo. The wrong version of our resolution was included in the packet which confused many people (for example. the students who brought forward an amendment which was already part of the proposed lighting amendment). We recognize this as an error on our side due to miscommunication, and from Students’ Council’s side as this was not double checked with the WG. Hence our suggestion above that along with the 200 signatures that are submitted, the resolution writers should also submit the final version of their resolution to avoid confusion in the future. Projecting the amendments on the screen would greatly clarify amendments for the community (since trying to share these documents over the web at plenary is nearly impossible given the state of the internet connection). We would be happy to discuss these concerns in person, or help assist on the logistics of these plans. We are really grateful for all the hard work Students’ Council puts into organizing a plenary but also believe that these are important issues that need to be raised within the community. Maurice You can start the formatting whenever. Resolution writers should not submit their own friendly or unfriendly amendments. It doesn’t fit with the logistical plenary premise. Devi: The week timeline is not reasonable since plenary date always changes depending on affinity/religious holidays. I also think that a lot of these changes to Plenary mentioned by CER were necessary anyway. Andrew: It’s helpful for the next council to see the letter and make changes to the plenary as needed. Maurice: Do people have any other thoughts? *These minutes reflect summaries written by Katie Leiferman ‘20, Mariana Ramirez ‘20, Jason Ngo ‘21, and Claire Cai ‘21. Questions/comments? Email hcsecreatries@gmail.com or submit to the Ford Form.